Each Guest may bring aboard the ship a reasonable amount of clothing and personal effects without charge, not to exceed two bags per person. All Guest baggage must be stored in the Guest's stateroom and must be labeled with the Disney Cruise Line baggage tag. Dangerous or illegal articles such as weapons, explosives, oxygen, combustible substances or non-prescription controlled substances may not be brought to the Walt Disney World Resort or taken aboard the ship. Any such items shall be surrendered to the Master of the vessel at embarkation, and may be disposed of at the sole discretion of the Master. You should retain valuables such as cash, negotiable securities or other financial instruments, gold, silverware, jewelry, ornaments, works of art, photographic/video/audio equipment or supplies, laptop computers, cellular phones or other valuables in your personal control as Disney Cruise Line is not responsible for damage to or loss of these items. A deposit is required to confirm a reservation. Deposit amount will be determined at time of booking. Vacation and cruise packages are subject to cancellation if full deposit is not received in our office within the option period specified at time of booking. For reservations confirmed in U.S. Dollars, final payment in the form of a check or credit card (Visa®, MasterCard®, American Express®, Discover® Card, Diners Club®, Japanese Credit Bureau or Disney Visa® Card) must be received on the date determined at the time of booking. For reservations not confirmed in U.S. Dollars, acceptable forms of payment are Visa and MasterCard. Payment policy for group travel may vary. Failure to strictly comply with the deposit and final payment schedules, or any other applicable policies and procedures, will result in the automatic cancellation of pending reservations and applicable fees will be assessed. Cancellations may be made by telephone or in writing. Changes to the vacation commencement date or changes of Guest names are subject to cancellation fees, stateroom and occupancy availability and prevailing rates at the time of the change. For cancellations, amounts paid, minus cancellation fees and other amounts owed, will be promptly refunded. No refunds will be made in the event of interruption or cancellation by the Guest after vacation commencement date. All appropriate refunds will be made directly to the Guest's credit card account or through the Guest's Travel Agent if the reservation is made through a Travel Agent. Disney Cruise Line is not responsible for the receipt of refund monies by Guests from their Travel Agents. When applicable, monies are refunded based on exchange rates at the time of cancellation, not the exchange rate at the time of payment. All travel documents including airline tickets must be returned before refund processing can begin. Certain Travel Agents may withhold an agency cancellation fee. Disney Cruise Line reserves the right to restrict any changes to a reservation. All changes are subject to availability. Please note that changes made to overall party size may result in a change to the rate. For your peace of mind, we recommend the purchase of the Vacation Protection Plan. Premiums for the Vacation Protection Plan must be paid by the final payment due date, and the Vacation protection Plan is not effective until final vacation payment is made. Payment due on non-suites/non-concierge staterooms 90 days prior to sailing. Non-suites/concierge staterooms: 89 - 45 Days prior to sail Loss of Deposit per guest. Payment due on suites/concierge staterooms 120 prior to sailing. Payment due on non-suites/non-concierge staterooms 120 days prior to sailing. Non-suites/concierge staterooms : 119 - 56 Days prior to sail Loss of Deposit per guest. Suites/concierge staterooms : 149 - 90 days prior to sail Loss of Deposit per guest. Check-in time for Walt Disney World Resort hotels is normally after 4:00 p.m. For Guests arriving early, luggage arrangements can be made so Guests can visit Theme Parks or enjoy Resort amenities. It is recommended that necessary items including: proof of citizenship, valuables, medications, (in their original containers) and any other personal items or other items required for check-in or embarkation be packed in your day bag. Walt Disney World Resort check-out time is normally before 11:00 a.m. Ship's embarkation begins at 1:00 p.m. Guests are required to be on board the ship at least one hour before scheduled sailing time. By boarding the Disney Cruise Line® cruise ship, Guests represent themselves as physically and otherwise fit to travel. If you have a medical condition which requires you to take prescription medication or may require you to obtain medical care during the course of your cruise vacation, please consult with your personal physician prior to traveling. For your convenience, a physician and nurse are on call 24 hours a day to provide basic medical services. The physician and nurse are not employees or representatives of Disney Cruise Line and will charge their prevailing fees for services provided at your request. Decisions regarding medical care and treatment are personal and confidential and as such are strictly between the Guest and physician and nurse. Disney Cruise Line is not liable for any death, personal injury, illness or emotional distress caused by reason of any treatment, diagnosis, advice, examination, prescription or other service provided by such medical personnel or by the failure of such medical personnel to provide any treatment, diagnosis, advice, examination, prescription or other service. The ship's Master has the right at any time to require any Guest to disembark for medical reasons, and compliance is mandatory. For your peace of mind, we recommend the purchase of the Vacation Protection Plan. Premiums for the Vacation Protection Plan must be paid by the final payment due date, and the Vacation Protection Plan is not effective until final vacation payment is made. Disney Cruise Line may refuse to transport or may disembark at any port any Guest who may be suffering from a contagious or infectious disease, ill health or whose presence in the opinion of the Master may be detrimental to the comfort or safety of other Guests or the crew, or who, in the Master's opinion, might be excluded from landing at destination by Immigration or other governmental authorities. In such cases the Guest shall not be entitled to any refund of fare or compensation whatsoever. Women who have entered their 24th week of pregnancy as of their embarkation date will be refused passage due to safety concerns. Neither a physician's medical statement nor a waiver of liability will be accepted. In addition, Disney Cruise Line cannot be held responsible or liable for any complications relating to pregnancy at any stage. Infants under 12 weeks old will not be allowed to travel aboard Disney Cruise Line ships. Magical Cruise Company, Limited (doing business as Disney Cruise Line-Registered Office: 3 Queen Caroline Street, Hammersmith, London, W6 9PE, England), DCL Island Development, Ltd., and Disney Cruise Vacations, are each separate entities and are indirect subsidiaries of The Walt Disney Company. Disney Cruise Line is the operator of the Disney Magic and Disney Wonder ships. DCL Island Development, Ltd. is the operator and provider of facilities and Disney's Castaway Cay. Disney Cruise Vacations acts as the sales agent for Disney Cruise Line in booking or confirming arrangements for passage on the Disney Magic and the Disney Wonder. 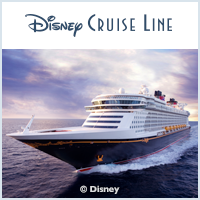 In booking or confirming arrangements for: (a) air or ground transportation or travel; (b) shore excursions; (c) tours; (d) restaurants; or (e) other similar activities or services, Disney Cruise Vacations acts as sales agent for others who own, furnish, operate, conduct or provide such services and activities. In booking or confirming arrangements for theme parks, entertainment and other services at the Walt Disney World Resort, as well as hotels, Disney Cruise Vacations acts as a purchaser/reseller of such accommodations, services and activities. Disney Cruise Vacations shall not be liable or responsible in any way for any act or omission arising from or in connection with such accommodations, services or activities. The liability of the provider of such accommodations, services and activities may be governed by and determined in accordance with limitations contained in applicable tariffs, laws, conventions or contracts governing a guest's relationship with such provider. Disney Cruise Line acts as sales agent for others who own, furnish, operate, conduct or provide shore excursions, tours, or similar activities or services, and shall not be liable or responsible in any way for any death, personal injury, illness or emotional distress occasioned by any Guest, or for loss or damage to any Guest's property, which arises by reason of any act or omission by providers of air or ground transportation, shore excursions, tours, restaurants, hotels, theme parks or other similar services or activities. All concessionaires and their employees operating on the Disney Magic and the Disney Wonder, including without limitation the health club, fitness center, spa, hair salon and laundry, are independent contractors and Disney Cruise Line is not responsible for any such parties' acts or omissions in providing any goods or services to Guests. CASTAWAY CLUB Once you have sailed on Disney Cruise Line, you automatically join the elite ranks of Disney Cruise Line's Castaway Club. You'll get your membership card in the mail featuring your member number and DCL Castaway Club contact information.